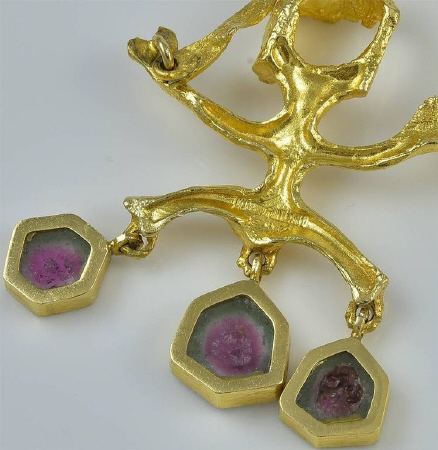 Bjorn Weckstrom Gold Necklace with Watermelon Tourmaline. This necklace was designed Bjorn Weckstrom for Lapponia in the 1960's. 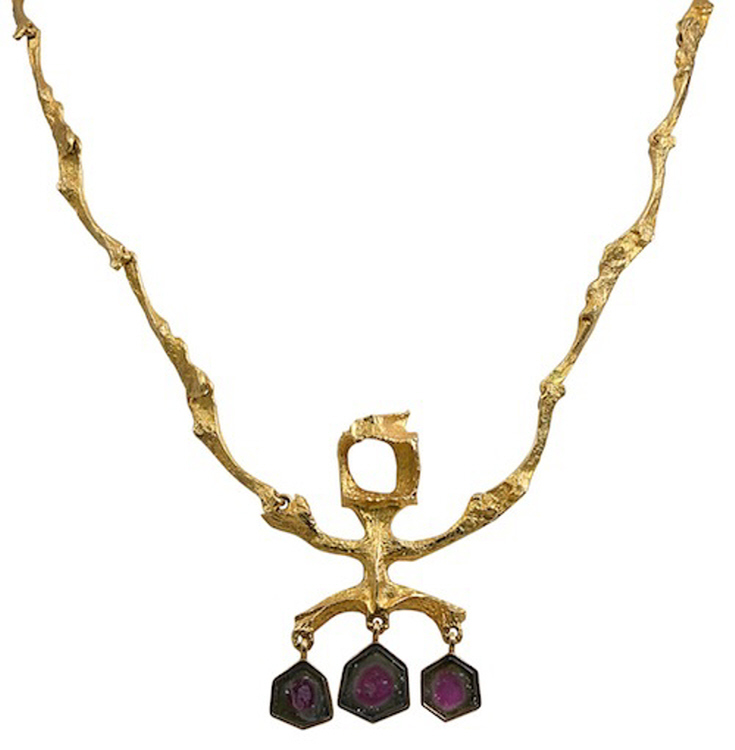 This 18 karat yellow gold necklace is composed of sculptural links with three pendant style 'watermelon' tourmaline. The necklace measured 17 inches long. The necklace bears marks for 785, Finland, BW. This necklace is in excellent condition.